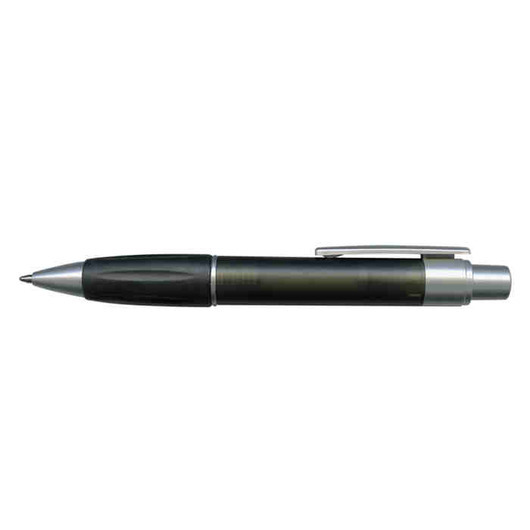 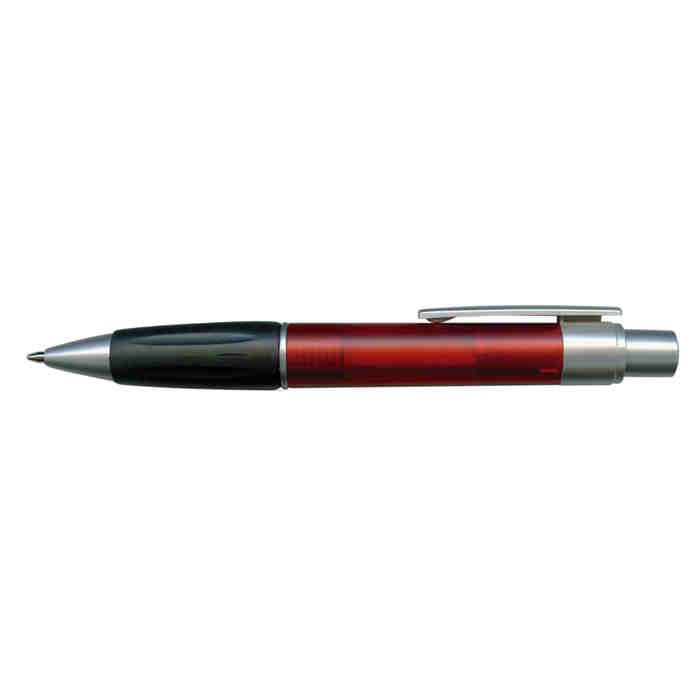 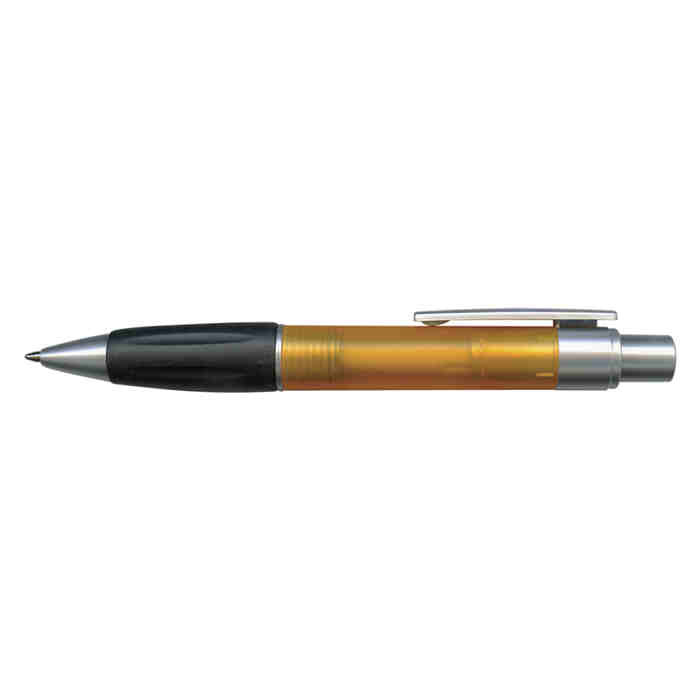 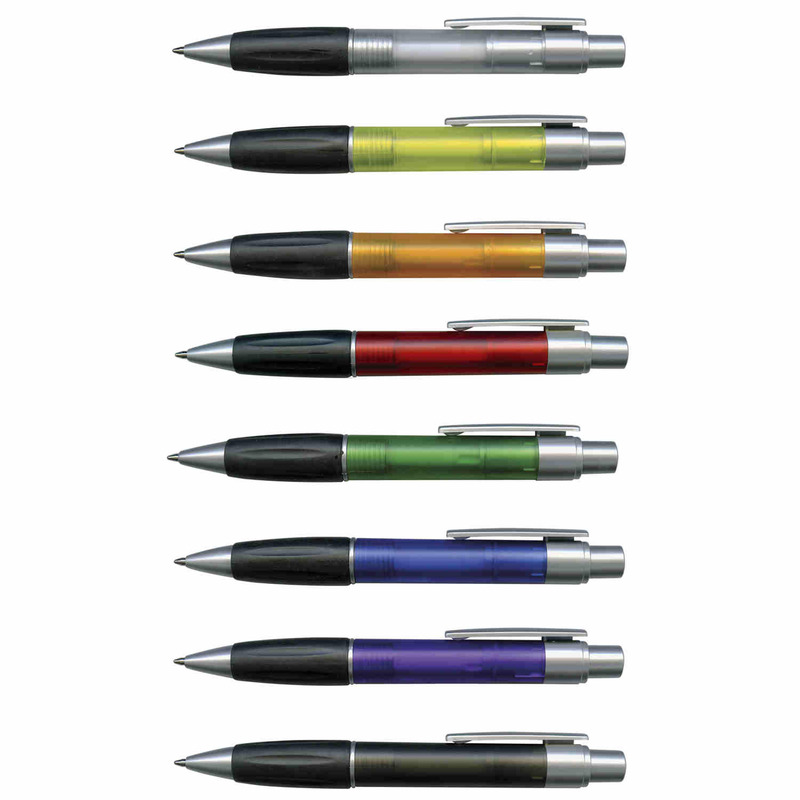 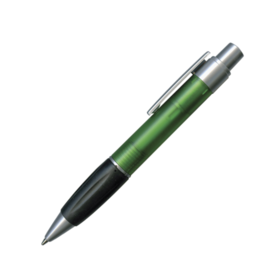 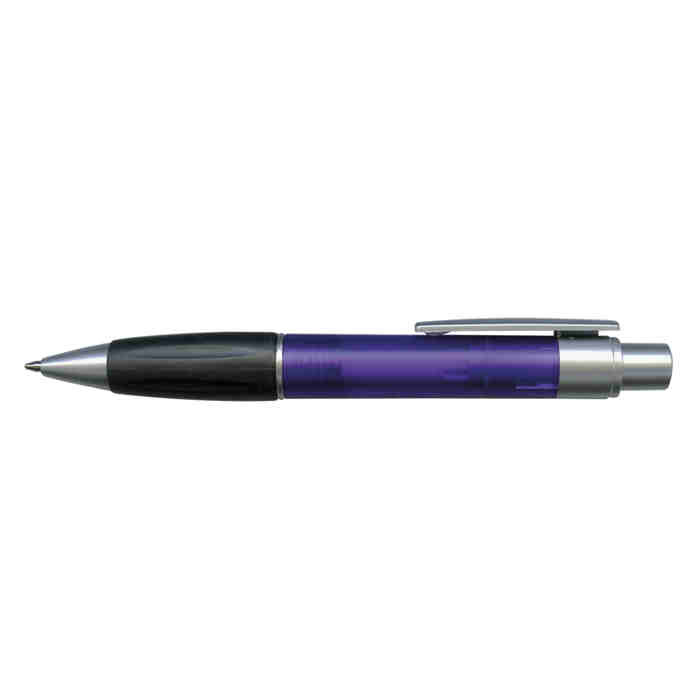 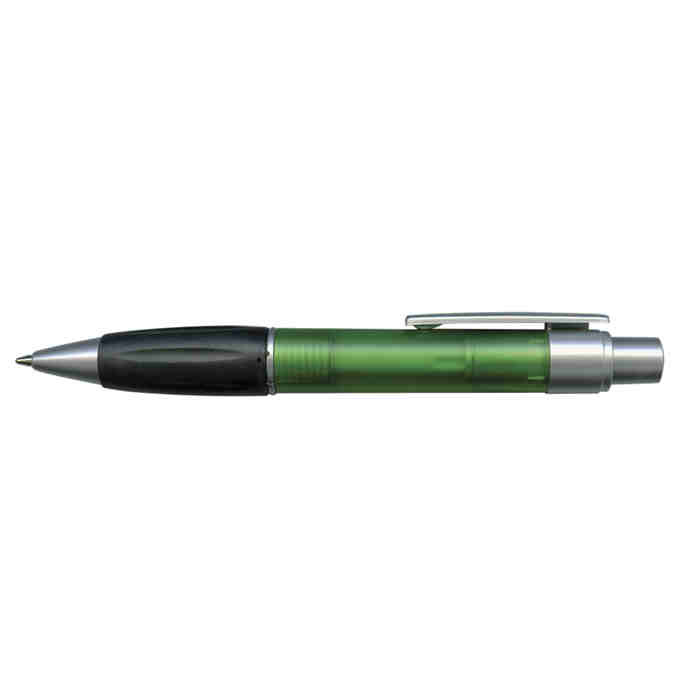 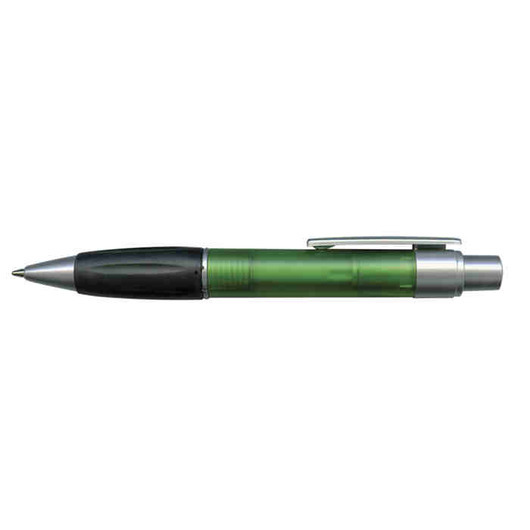 A retractable plastic ball pen with soft grip and frosted translucent barrel and metallic silver trim. Make these retractable ballpens your logos new home. 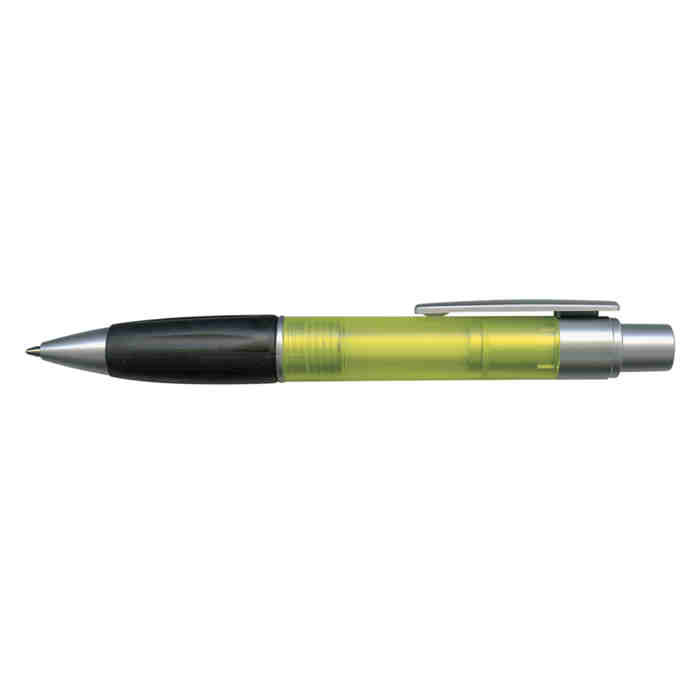 They feature a soft rubber grip, a frosted translucent barrel with a metallic silver trim. They come with blue German manufactured ink and a tungsten carbide ball for impressive writing quality. Black ink is also available for an additional charge.